With the warmer weather days get busier. When I’m busy I like to let my slow cooker cook dinner for me while I’m doing other things. 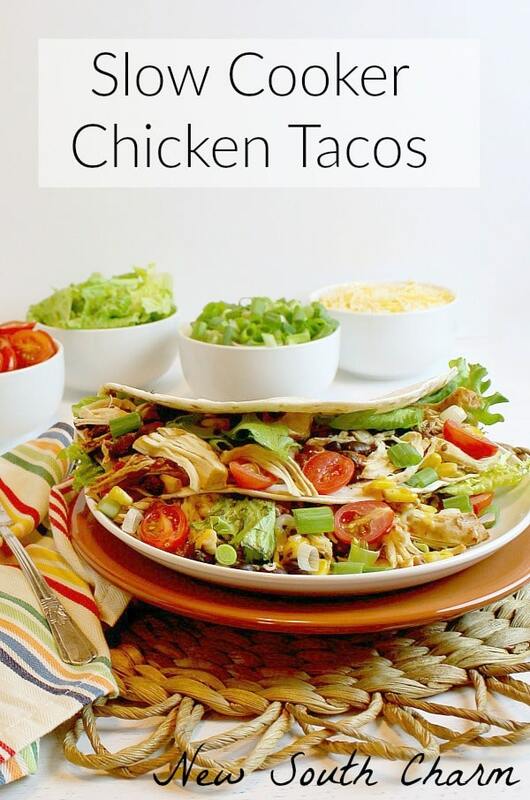 One of our new favorite crock pot meals is Slow Cooker Chicken Tacos. With just five minutes of prep in the morning you can have dinner on the table when you get home. Tacos are Mexican by heritage but you have to admit they have become a staple in the American diet. Tacos even have their own day of the week, you know, Taco Tuesday. Only who decided you could only eat Tacos on Tuesdays? Not me that’s for sure; I could eat Tacos every single day. Making these Slow Cooker Chicken Tacos couldn’t be easier to make. Start by placing boneless, skinless chicken breast at the bottom of your crock pot. Next, sprinkle on a package of taco seasoning. Then add onion, garlic, salt and pepper. After the seasonings pour on two cans of black beans that have been drained and rinsed. Then add frozen corn and two cans of tomatoes and chilies. Then cover and cook on low for six hours. When the cooking time is complete remove chicken and cut or shred into bite size pieces. Return chicken to slow cooker and stir to combine. 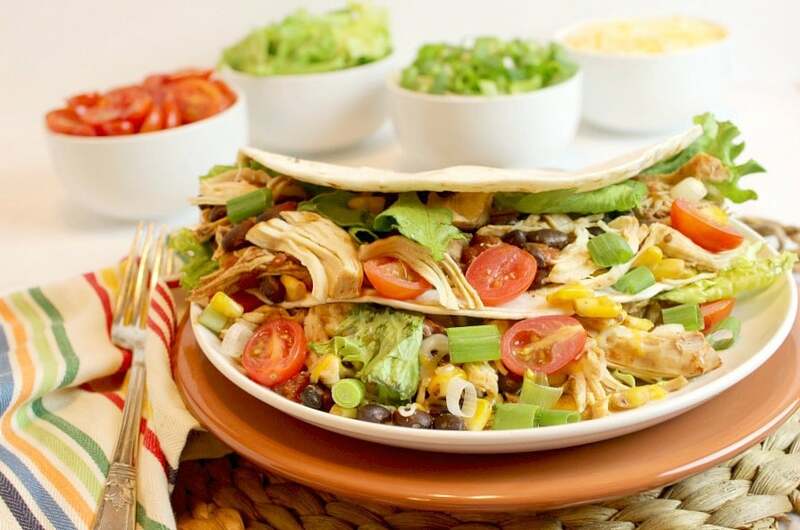 Serve on soft taco shells and top with tomatoes, shredded cheese, fresh salsa, sour cream, chopped scallions, jalapeños, sliced avocado, or any other favorite taco toppings. Thanks for stopping by; I hope you’ll love this recipe as much as I do. 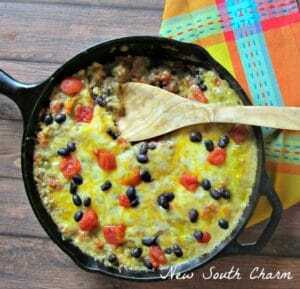 Do you follow New South Charm on Facebook? Follow along for more great recipes from me and some of my favorite bloggers. everything together leaving the chicken in the bottom of the bowl. cooker onto a plate or cutting board shred into bite size pieces. 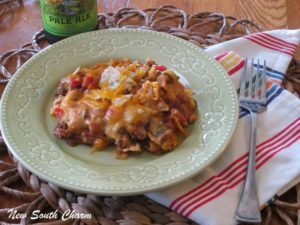 your tacos on soft taco shells or flour tortillas. 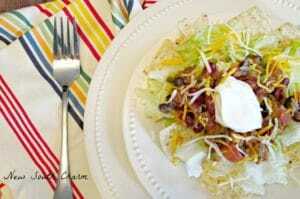 Great easy taco recipe for the slow cooker. 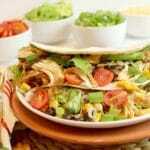 These tacos sound so good and look so fresh and lovely!! Thanks so much for bringing this by to Throwback Thursday! Love the idea of using the crock pot to make tacos! Thank you for joining Delicious Dishes Recipe Party this week! Lois I love any recipe that I can just toss in the slow cooker and forget. Thanks for stopping by! Oh my goodness, what a fantastic recipe and it is making me so hungry! Hope you have a very special week and thanks so much for sharing with Full Plate Thursday. I love recipes for th crock pot in the summer, and what a beautiful picture! Thank you for sharing!